We had a crowd of 25 and I wanted the cake to be three layers (the recipe above just makes two). 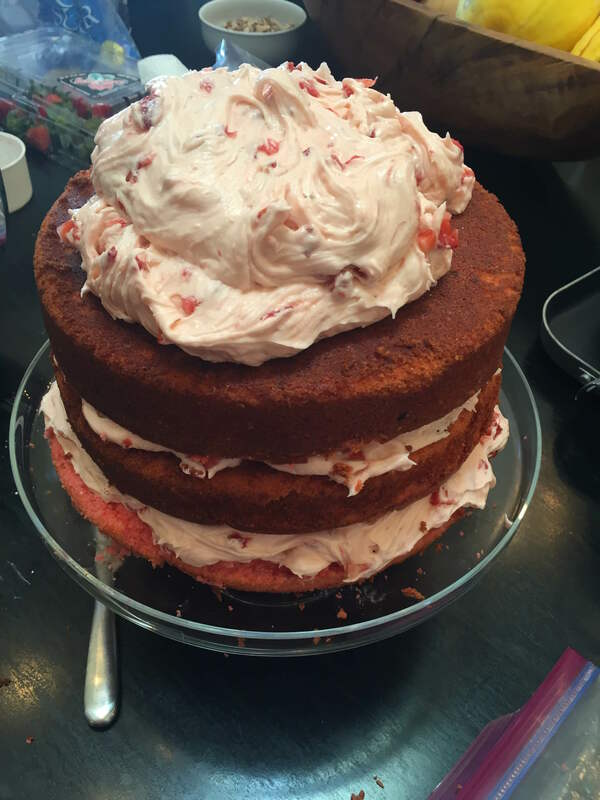 I increased the recipes for both the cake and the frosting by 1/2. These proportions worked perfectly, but there wasn’t any frosting left to spare. Another note is that the cake batter is very sticky. I used a baking spray with flour on non-stick pans, and the batter still stuck quite a bit more than usual. 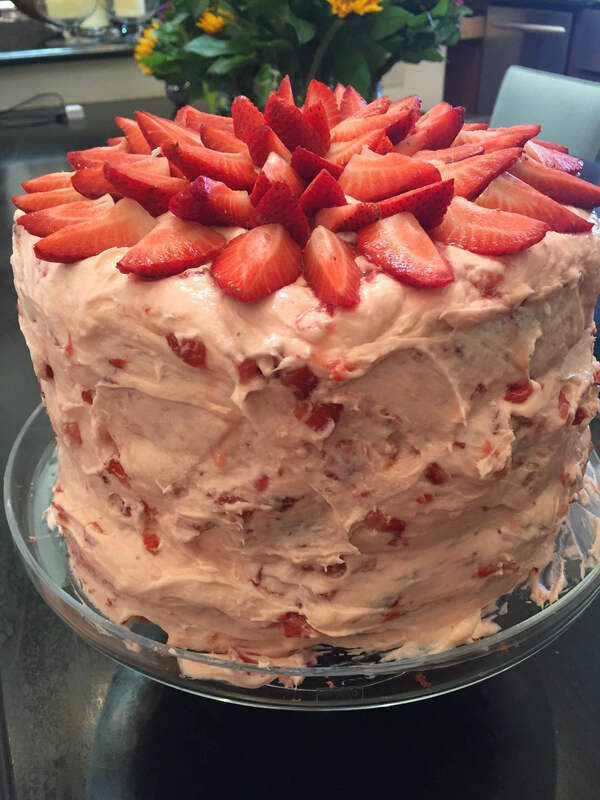 For decorations, I quartered fresh strawberries lengthwise and arranged them on the top of the cake immediately after frosting. Made the cake the day before and stored in the fridge overnight. I took it out 1.5 hours in advance of serving, but it was still somewhat cold by then. I would suggest letting it completely attain room temperature before serving.